As a tribute to a classmate's mom, students enjoyed a special art lesson. 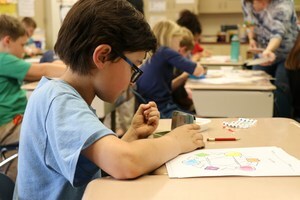 A very special art lesson took place for 3rd graders in Mrs. Shearer’s class. Andrew Plesnicar lost his mother a couple of years ago. She was an artist. Andrew’s aunt, who lives in Washington, is an art teacher and had an idea to pay tribute to her sister with an art project. 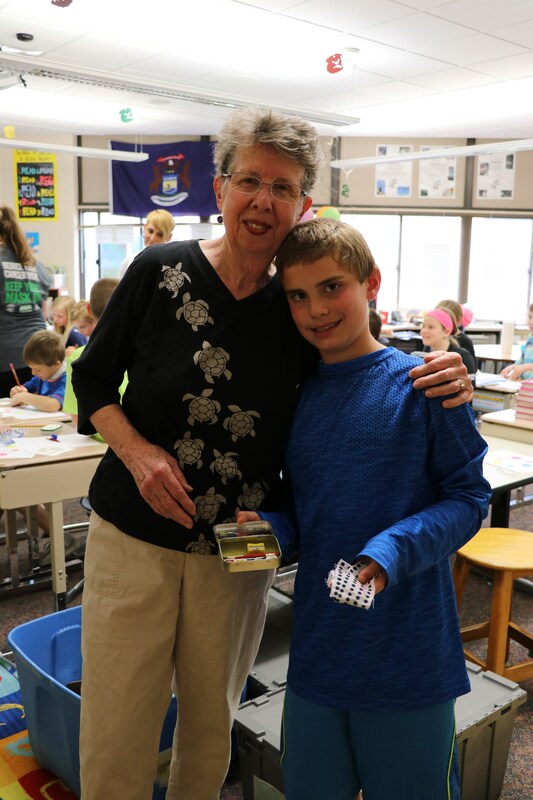 She and a group of her friends put together a watercolor paint box set for each student in Andrew’s class along with some other paint supplies. The students received them today along with a great lesson the color wheel from Andrew’s grandmother, who is also an artist. She brought the gifts into class and walked them through painting the color wheel with these homemade paint sets.. In addition to the watercolor sets, each student went home with a small magnetic frame that had a watercolor paper insert so they could paint a small picture to go on the refrigerator. They also got extra sheets of the color wheel so they could do more on their own or teach others about and some extra sheets of watercolor paper to continue to paint. The tops of the paint kits had a watercolor piece of paper attached so they could make their set their own. 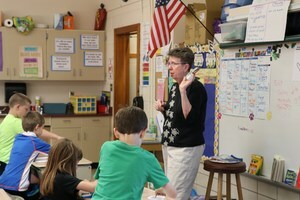 The kids enjoyed the lesson and said they were "spoiled" with all of the kids. They appreciated them and liked doing a project that was also very meaningful.